Dr. Muss is a translational researcher who is involved in the design and of both clinical trials that contain collaborative trials involving both laboratory and health services research. His major interest is in cancer in older patients with a focus on the treatment of breast cancer in older women. Breast cancer is a disease of aging and the majority of women who die of breast cancer are 65 years and older. Older patients frequently receive poorer cancer treatment and Dr. Muss is interested in improving cancer care in such patients. He also has a major interest in biomarkers of aging and geriatric assessment in older patients with cancer. 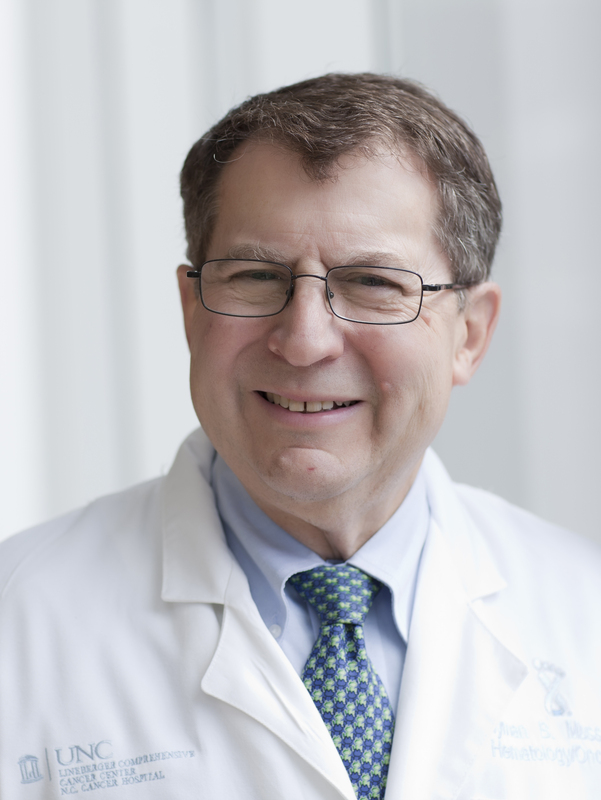 Dr. Muss and his colleagues at the Lineberger Cancer Center have developed a geriatric oncology program for the cancer center including a geriatric oncology consultation clinic. The aims of the geriatric oncology program are to educate physicians caring for cancer patients about the relevant issues affecting cancer care in elders, to develop clinical trials focused on older patients, and to implement the use of a short but accurate comprehensive geriatric assessment (CGA) tool that may predict chemotherapy toxicity. In addition he is working with Dr. Sharpless in exploring the effects of cancer treatment in older patients on the expression of the P16INK4a gene. Dr. Sharpless and colleagues have found this gene increases dramatically with aging and may serve as a marker for the long term side effects of different therapies. New areas of research will focus on interventions that prevent loss of muscle mass in older cancer patients receiving treatment.